Just steps to revitalized Park Hill Commons shopping area (under construction), this home is ideally situated in modern corner of Park Hill. Recent renovations in the kitchen and main-level bathroom reflect the vibe of the mid-century modern era-- clean lines and smart, efficient spaces. Quartz countertops and glass tile backsplash compliment the spacious kitchen, perfect for everyday meal prep. Floor-to-ceiling windows in the dining and living spaces invite tons of natural light and views of large back yard. Divide and conquer: The finished basement provides both open recreation space and private rooms. Ready for warmer weather? Host your friends and family under shaded patio and serve them fresh veggies from your garden. Meet new friends at the hip eateries down the street. 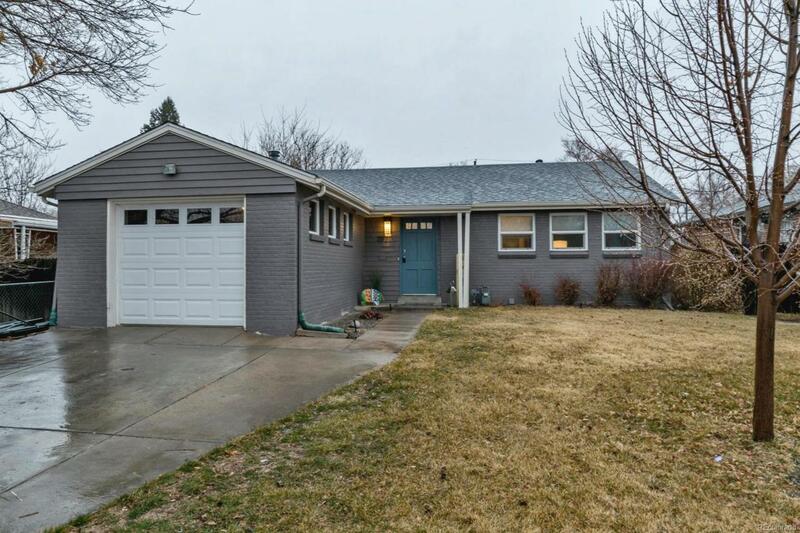 Bonus- this home is within the Park Hill Elementary boundary. Offered by New Perspective Real Estate.